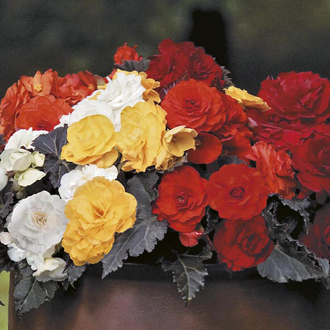 The Non-Stops are famed among begonias, and no wonder! The bright array of shining, double blooms look so dramatic presented against their bronze foliage. Give your containers a treat this summer.